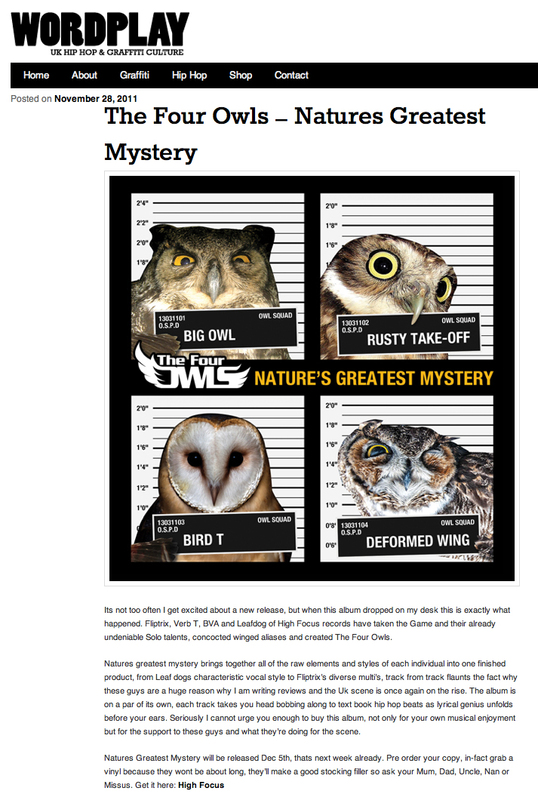 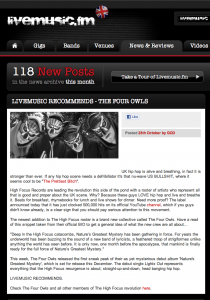 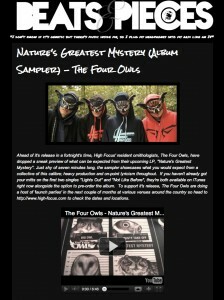 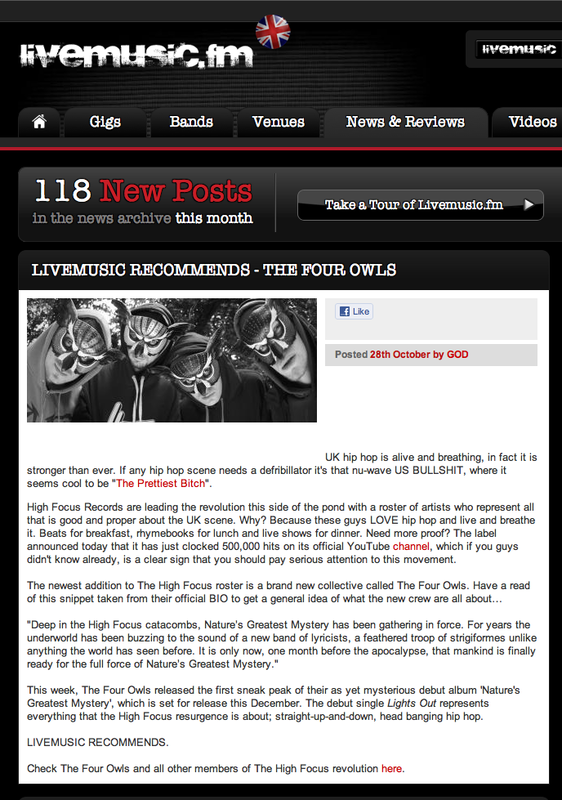 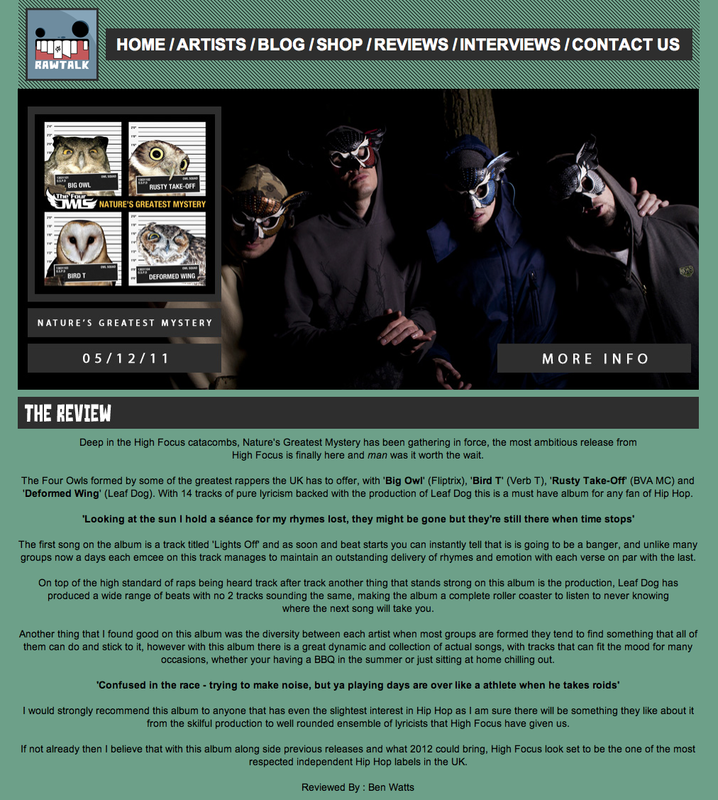 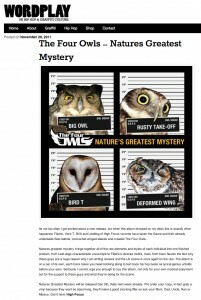 ‘The Four Owls – Nature’s Greatest Mystery’ album review on Wordplay. 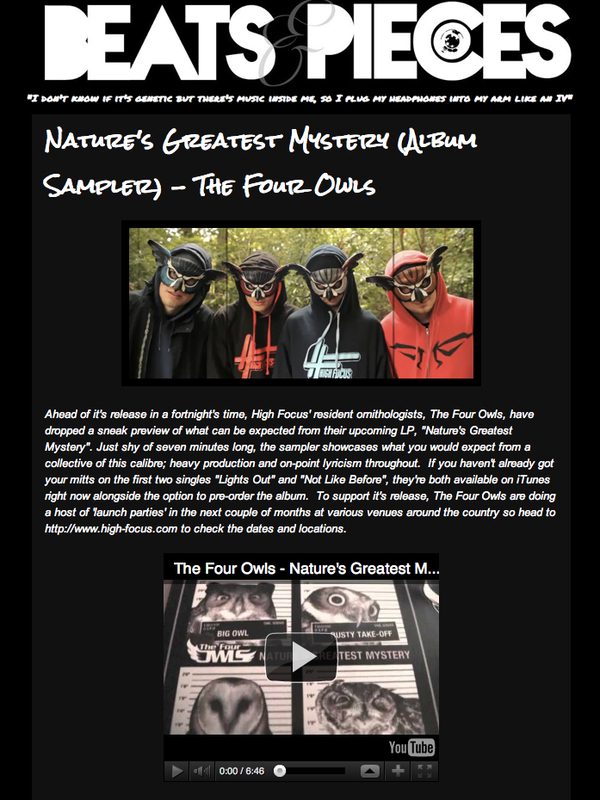 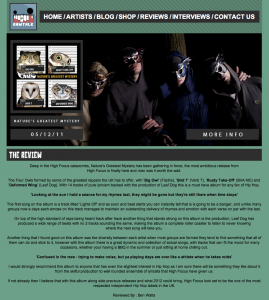 ‘The Four Owls – Nature’s Greatest Mystery’ album review on Raw Talk Recordings. 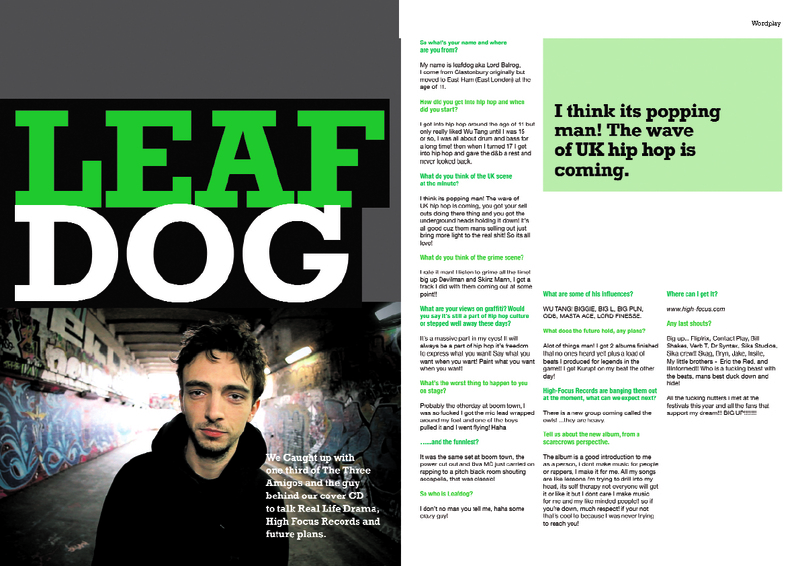 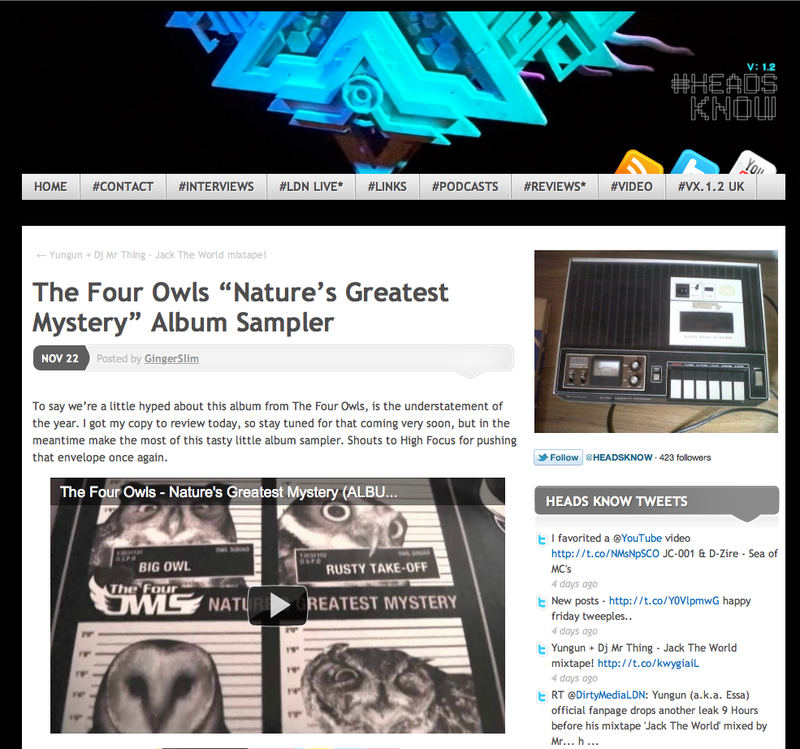 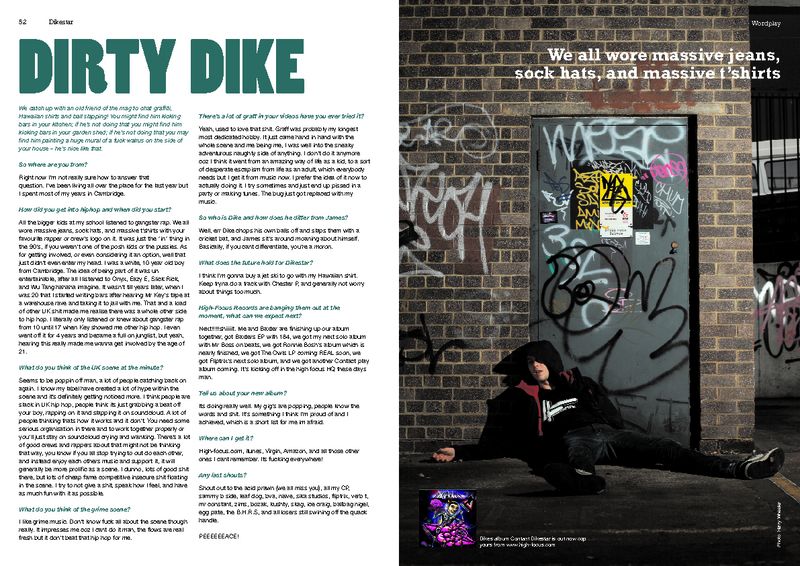 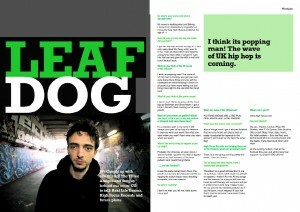 The Four Owls album sampler Featured on Heads Know.